We would love for you to show us your space! 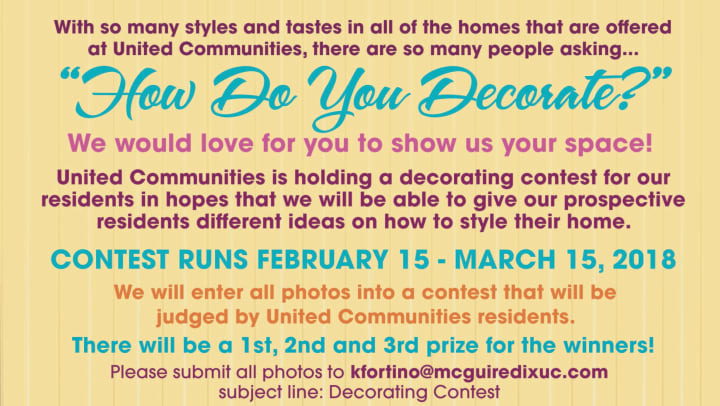 United Communities is holding a decorating contest for our residents in hopes that we will be able to give our prospective residents different ideas on how to style their home. We will enter all photos into a contest that will be judged by United Communities residents. There will be a 1st, 2nd and 3rd prize for the winners! We can't wait to see everyone's photos!